Allow me to further customize your jewelry design by adding a genuine Swarovski birthstone channel charm in a rhodium metal finish to your jewelry design. 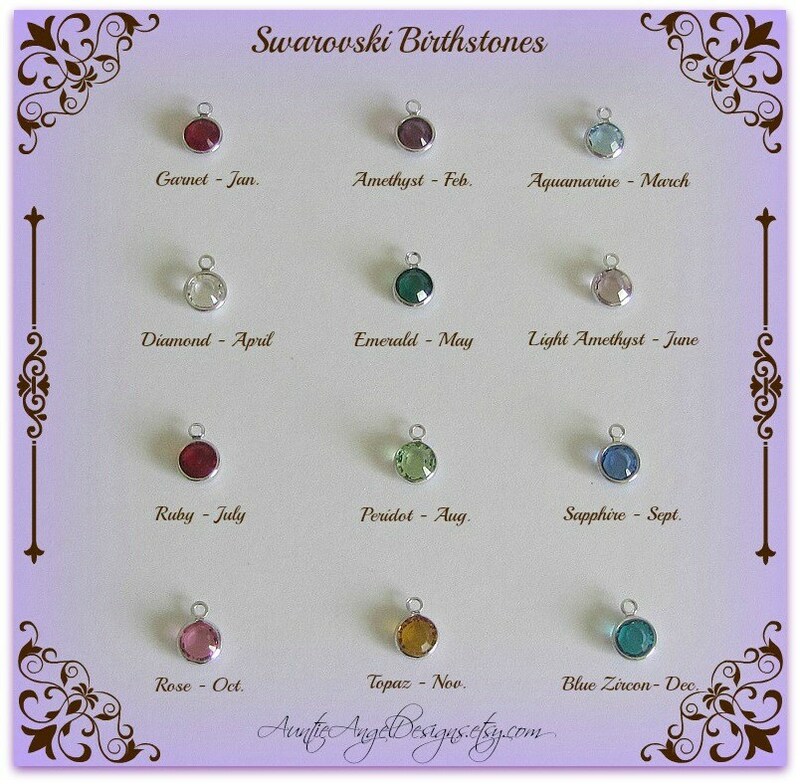 These birthstone charms are ONLY available as add-ons and cannot be purchased separately. Note: The price noted is for ONE Swarovski birthstone charm. Please convo me if you have any questions before placing your order. Thank you for shopping with Auntie Angel Designs and for allowing me to serve you! Ordered the Teardrop Cremation Urn Necklace along with this crystal charm, and a stainless steal tag. I have worn this necklace every day since purchasing and it still looks beautiful. The provided materials/directions for filling the urn necklace were easy to follow. Thank you!